Wedding Gift Box Fillers are an easy way to fill your bridesmaids gifts boxes! Add this to our personalized gift boxes (sold separately) for a unique gift package. 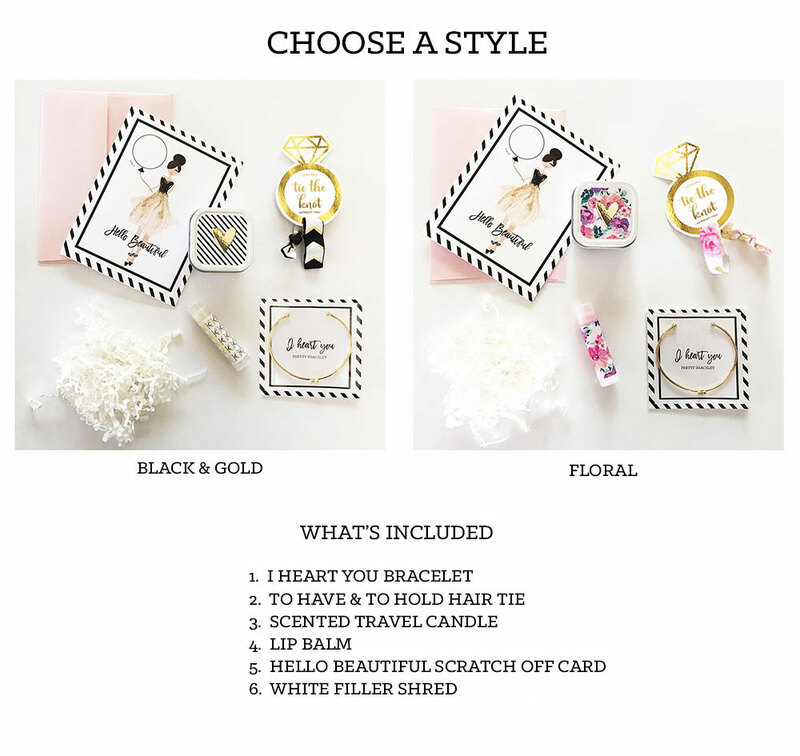 Choose from our elegant black and gold style or our chic floral design. Make sure to check out our Personalized Gift Boxes to complete your look! This item is non-personalized.